Under Armour is moving to 5th Avenue. On an earnings call on Tuesday, CEO Kevin Plank confirmed that Under Armour (UA) will open a new flagship retail location in the space formerly owned by toy store FAO Schwarz. The new store won't open until 2019, but Plank said it's a sign of where the brand plans to be. Under Armour's quarterly revenue grew almost 28% from last year. The increase was attributed to several factors, including Under Armour's high profile athletes like Stephen Curry, Andy Murray and Michael Phelps. "These athletes have helped Under Armour achieve a new level of awareness and demand," Plank said. Apparel revenue was up nearly 19%, while international revenues grew 68%. Footwear revenue increased 58% year-over-year. Plank credited Stephen Curry's signature shoe line, which he said had seen record-setting sales. Plank said the "Highlight Cleat, continues to lead the market." The company said its women's division will surpass $1 billion in sales this year, and that it plans to debut a new, more extensive footwear line for women in 2017. Plank also said the company plans to introduce a new line of athletic streetwear, and is also working to expand its presence in California. 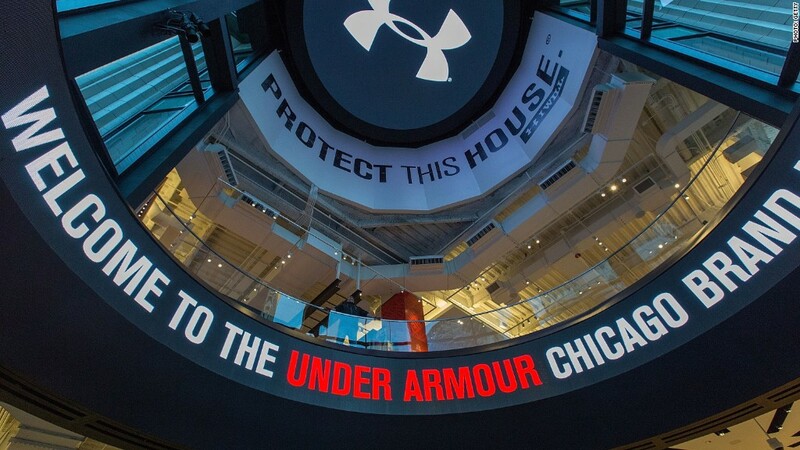 Under Armour recently signed multi-million dollar deals with U.C. Berkeley and UCLA to outfit their teams.